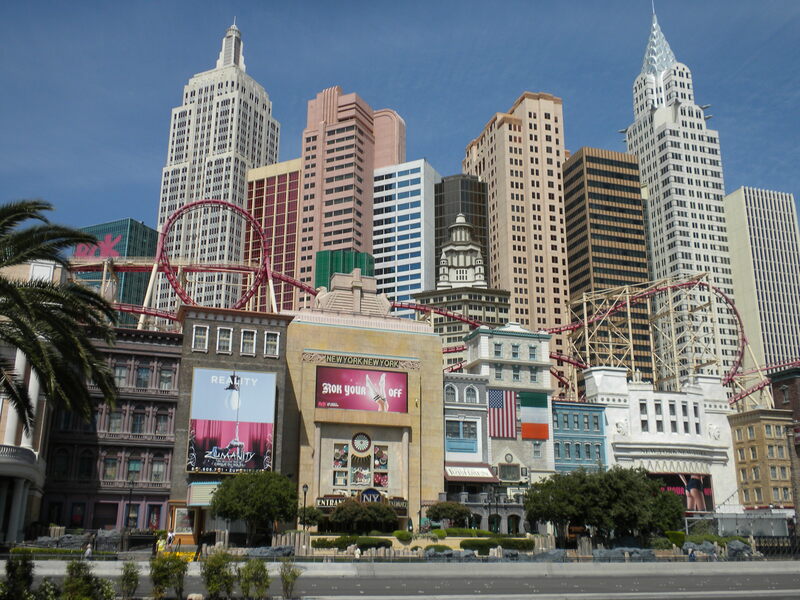 New York, New York, Las Vegas. We didn’t stay here. This time! Not to sound too much like a sitcom theme song or anything, but sometimes it just hasn’t been your day, your week, your month or even your year. And most of the time, it feels like short of a major life change (e.g. moving across the country, joining the peace corps or agreeing to a dramatic hair makeover), there isn’t much that you can do about it. Except enjoy a nice cocktail. So after an especially treacherous day/week/month, Jenna and I decided it was time for a Friday night drink. While discussing the treachery of the recent weeks, we thought about how much we both needed a getaway, even if just for a few days. Mostly in jest, we began looking into flights to Las Vegas, and found that there were indeed several more flights leaving that night. After a few more drinks, the idea was sounding better and better, although by this point, it was too late to buy the tickets via iPhone (thanks for nothing, Expedia), but we figured, we weren’t doing anything for the rest of the night, so why not hit up the airport, just to see what the real situation with the tickets were. After all, it never hurts to have more information, and worse-case scenario, we have a few cocktails at the airport and watch the planes take off. We high-tailed it out of the bar, and grabbed the first cab to the airport. Not knowing which terminal to go to, since we didn’t actually have a flight, we made the collective decision to try United since they seemed to have the most tickets left on the remaining flight. The cab driver was confused by our plans, but obliged. Not really sure where to go to buy the tickets, after all, who even travels with a physical ticket these days, we ended up at a particular counter neither of us had even been to. With the last flight of the night to Las Vegas leaving in less than two hours, we knew we didn’t have much time for the line that had accumulated at said counter, but we remained optimistic, not having totally committed to the ticket purchase as of yet, just looking for more information. A nice gentleman from Hawaii struck up a conversation with us, and we found out he was trying to get a credit for a flight he didn’t use. Assuming we were there for some other customer service issue, he was shocked and excited when we told him our reason for visiting the counter. “So you don’t have tickets to Las Vegas, but are planning to go anyway,” he asked. As we said yes, his face lit up and he seemed genuinely excited with our moxie. He told us to seize the day and let us cut in front of him in line. We surveyed the rest of the line and try to pick out other travelers who may be trying to snag one of the last few seats on the flight to Vegas. Seeing only a few other potential competitors, our resolve grew to catch this flight. It was beginning to sound like an even better idea. The line slowly moved as the minutes ticked by, and we heard another traveler mention he was trying to get to Vegas, a planned trip, but he had to switch his flights. We gave him the evil eye and tried to inch our way closer to the front. But we were also feeling friendly so said hello, and let him know we were also planning to go to Vegas. He seemed confused, but intrigued, and our adventure prompted him to take the same flight, rather than to wait for one the next day. It is nice to feel like you have moral support on these things. She tells us the price. Woah! So much for last minute deals. But with all the well wishes our line friends have provided, we figure it is too late to back out. Besides we were already at the airport, might as well see this thing through. A look at our IDs and a swipe of the credit card later, we were on our way! So what did we learn for our next impromptu trip? If the line is long, tell people about your plans. They will be in shock and awe and will let you cut in front of them, if they are nice and appreciate go-getters like yourself. See if anyone around you is going to the same destination – you may make a new friend, and could go halfsies on cab fare. It is important to look for ways to save money when spending so much on a plane ticket! Be prepared to spend more. Money may not go on trees, but neither do adventures, so treat yourself! Go to the airport! Now that airports have so much excitement in the form of nail salons, watch stores, fancy bars and especially at SFO, restaurants from Cat Cora and Tyler Florence who wouldn’t enjoy a night at the airport without the hassle of those little annoyances like having to pack. Don’t be too picky. 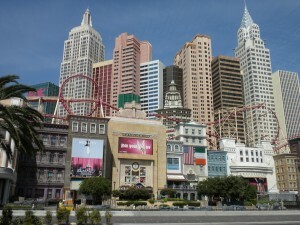 Would we rather have flown Virgin on our fabulous Las Vegas trip? Heck yes. Mood lighting and drink ordering from the seats. What did United offer? No lights. At all. And no drinks. Well, water, but we had to pour it ourselves. In turbulence. But we got there, so all is well that ends well. to go back the choose?.I’m trying to to find things to improve my website!I assume its good enough to use a few of your ideas! !